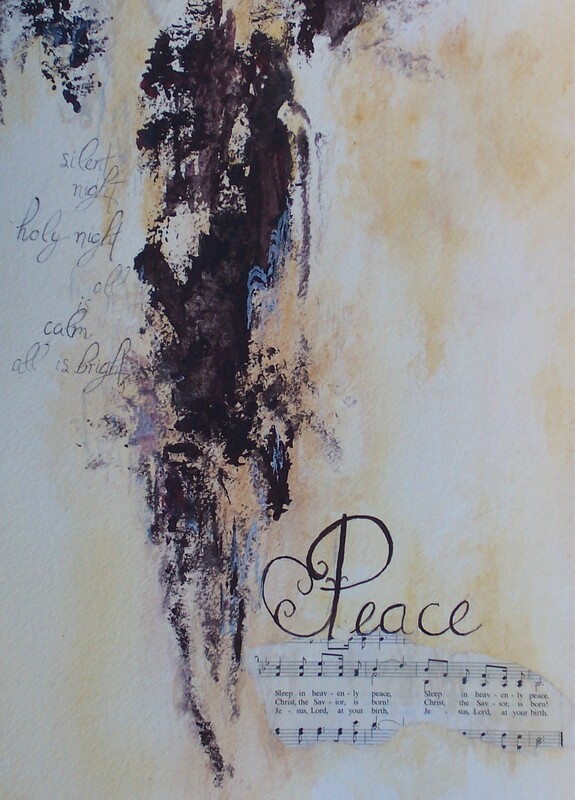 This is a mixed-media painting for Christmas. I love the holidays- from Thanksgiving through Christmas – but, it is so easy to get caught up with all the hype and get overwhelmed. I created this painting – in hopes that whoever might be looking at it- will be still for a moment, and allow the peace to be within us. Blessings this holiday season! This entry was posted on November 15, 2010 by dakotablessings. It was filed under Uncategorized . A strong and beautiful statement–this painting stops me in my tracks! !